A while back, an article caught my eye mentioning how whaling could soon be actually legalized (no longer would whalers have to play with semantics to get around the restrictions). Apparently, the International Whaling Commission has been considering setting up quotas to legalize the internationally condemned practice to some degree. Albeit with good intentions, and the undoubted backing of whaling nations, this prospect could have immeasurable repercussions against the conservatory efforts pioneered by environmentalist organizations the world-over and with legal precedence. I had glossed over that information back then, but it got me thinking. Lobbyists will always try to achieve ends to their financial success, it was nothing too significant in my book (although if they manage to pull it off – it very well could be). It wasn’t till later when I came across another interesting article that I recalled those rumors about the IWC’s plans. Scientists in Australia seem to have had their attention brought to the fact that whale refuse has a significant contribution to the ocean. In the piece by Megan Treacy of Yahoo! Green, it was mentioned that “because whales’ diets are made up largely of iron-rich krill (small crustaceans), their droppings are a great fertilizer for marine plants…[which] then do their part by absorbing CO2 as they grow”. 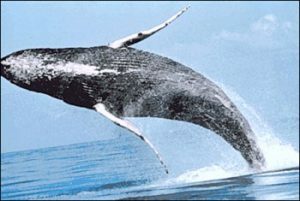 [ad name=”Go-MM-LgSquare”] As more and more species of whale become endangered, or even go extinct, for no other cause than trivial sport and the unnecessary consumption of a “delicacy”, we continue to lose a natural barrier against global warming. Without belittling the efforts of those who seek man-made solutions to this terminal problem, the fact that nature has given us a means of defense, and we cast it aside without a second thought is a depressing curiosity, one all too human. Treacy wondered how scientists would ultimately use this information. One can only hope that will serve at least as a tiny hint, in it’s coincidental breaking at this pivotal moment, for the IWC to not take the wrong step in the near future.